Conference Proceedings Most people are aware that papers from the conference can be found online. You can do a search to find papers related to your interests. A search for “ODS Graphics,” for example, returned no fewer than 50 papers—enough to keep me busy for quite a while. Best Contributed Paper Awards Don’t want to search through hundreds of papers? Why not start with the best by checking out the winners of the Best Contributed Paper Award for each section of the conference? SAS Global Forum Take-Out Or better yet, watch videos of some of the best papers in SGF’s Take-Out program from the comfort of your own cubicle. Recently, my mother handed me a copy of the May 2011 issue of Reader’s Digest magazine. Now, Reader’s Digest is not a magazine that I ordinarily read (though I confess to being a fan of its monthly Word Power vocabulary quiz), but this particular issue holds special interest. The article, Best of America, says that it is a “celebration of all that’s right and good in America.” What’s right and good in America? Well, it turns out that SAS Institute is. A two-page spread honors SAS Institute as the Best Place to Work thanks to being ranked number one by Fortune magazine two years in a row. 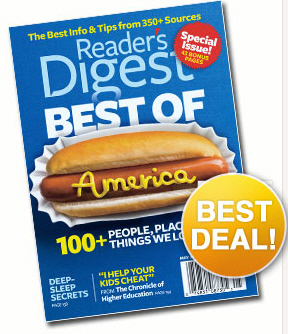 Being mentioned in Reader’s Digest may not be as glamorous as being mentioned in Fortune or Economist magazine, but it’s a whole lot more noteworthy. It represents a new level of attention for SAS products–and that can only be good for the prospects of SAS programmers. What’s next: People magazine, Vanity Fair, Vogue? SAS OnDemand for Academics (the cloud computing version of SAS) will be free for academic research starting in Fall of 2011. This is exciting news! I’m surprised it didn’t get a lot more attention at the conference. Since Fall 2010, SAS OnDemand for Academics has been free for use by students enrolled in courses that use SAS. However, the number of professors and students doing research is far greater than the number of students enrolled in courses that use SAS. In addition, professors now have more reason to teach SAS because students will be able to use it after the class is over. This change will help SAS to compete with R since the main reason that R is so popular is because it is free, but SAS Institute will need to work hard to get the word out. SAS 9.3—which is expected to be released this summer—will bring major enhancements to output. For the first time ever, text output (AKA listing) will no longer be the default. HTML will become the default destination for output in Display Manager, and a new default style template, HTMLBlue, will make our output pretty. Of course, you will still be able to turn on text output for those times when you need vanilla instead of mocha-almond-fudge. One of the problems with ODS Graphics in SAS 9.2 is that you need to turn it on. Many of the people who need it most (occasional statistical users) never learned about it and therefore never turned it on. SAS 9.3 will fix this problem by producing graphs for statistical procedures automatically. This applies only to statistical procedures run in Display Manager; for jobs run in batch, ODS Graphics will still be off by default. In addition to becoming part of Base SAS and being on by default, ODS Graphics will deliver many new features in SAS 9.3. Here are a few of the ones that I’m excited about: bin control on histograms, side-by-side bar charts, ability to control the order of groups, grouped box plots, interval box plots, ability to produce bar charts from pre-summarized data, ability to draw a line using slope-intercept values, and even pie charts—because corporations still produce annual reports despite Stephen Few’s quixotic ranting against them. One highlight of SGF was something I didn’t see. SAS developers Sanjay Matange and Dan Heath have written a book about SG procedures. A pre-production draft of his book was on display in the Demo Room, but I didn’t get to see it because both copies of the book were stolen! Julie Platt, Editor-in-Chief for SAS Press, told me that this is the first time a pre-production draft has ever been stolen. The fact that someone or some people couldn’t wait a few months for the book to be published says something about how eager people are to use SG procedures. Enterprise Guide 5.1 which is scheduled for release toward the end of this year (after SAS 9.3, not at the same time) uses the same basic layout and menus as EG 4.2 and 4.3. This is good news. Early versions of EG evolved so rapidly, that users were forced to learn an entirely new interface with each new release. Starting with EG 4.2, the interface has stabilized. It means that this is a good time to learn EG. If you’ve been waiting on the sidelines wondering when to jump in, it’s time to get your swimsuit. I admit I was sceptical about Las Vegas as a location for SGF, but the city of “Lost Wages” turned out to be a fun and classy location for a gathering of SASites (despite the irony of a bunch of statisticians meeting in a gambling capital). I would not be surprised to see SGF return to Las Vegas again. Here we see the real reason why people attend SGF—because it’s so much darn fun. If you missed it at the conference (as I did), it’s not too late to see the video produced by Greg Nelson and Neil Howard. Will next year bring a “Return of the Semicolon People” video? During the few weeks when my father was sick, I discovered an instrumental version of Aaron Copland’s “The Tender Land Suite” and fell in love with one particular movement, playing it over and over and over…. I just learned that “The Tender Land” is an opera with libretto by Horace Everett—and the movement I fell in love with is named “The Promise of Living.” The story is about a family living on a farm in the Midwest during the Depression. 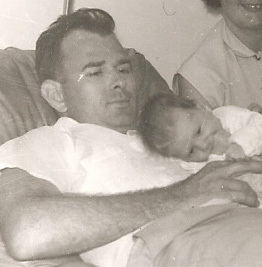 As a young boy, my father lived on his family’s homestead in Kansas—until a massive swarm of locust ate all the crops and the farmhouse burned down. In other words, he grew up on a farm in the Midwest during the Depression. Coincidence? And know all the work that makes her yield. I’m ready to work, I’m ready to lend a hand.